Washington, DC has long been a city that draws young professionals looking to establish themselves and begin their careers. But as rent prices in our Nation’s Capital continue to rise, affordable and attractive housing options for young, employed, but not necessarily high-earning residents have dwindled. Millennial renters may not be able to afford an apartment of their own, but many also don’t want to inhabit old, often desperately-in-need-of-repair group houses that see an endless rotation of Craigslist tenants. They want to be social, but also want a greater level of privacy than most group houses offer. 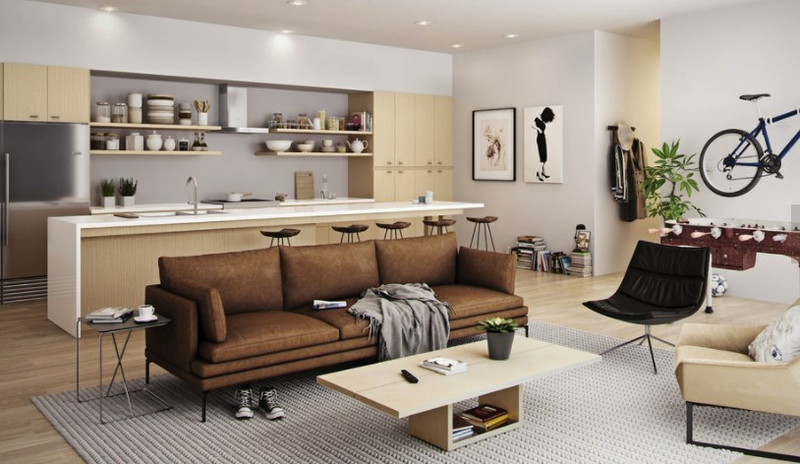 Seeing a need for moderately priced, sophisticated rental options, Ditto Residential debuted Oslo Shaw and Oslo Atlas, two apartment concepts designed to offer an updated take on co-living. Oslo eliminates much of the stress of having housemates by offering 3, 4 and 5 bedroom units in which each room is similarly sized and has a private bathroom; no more fighting over who gets the master bedroom or who has to clean the bathroom next. Unlike traditional group houses, these units are newly built with a focus on design aesthetics and unlike new construction high-rise apartments, Oslo properties simply remodel smaller existing buildings, causing less disruption to the surrounding neighborhood and providing a more intimate environment for tenants. 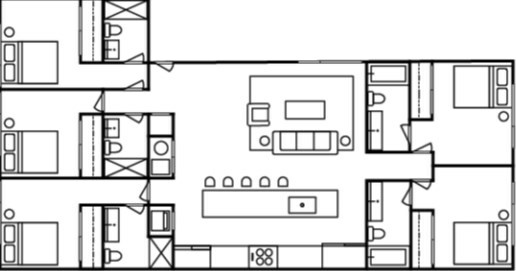 A generous kitchen and communal living area in each unit allow for social interaction but don’t demand it. At Oslo Shaw, rent ranges from $1,250 to $1,400 per room, sliding into that niche between group house rates and that of studio and one-bedroom units or luxury apartment buildings. Oslo units feature floor-to-ceiling windows, high-end appliances, minimalistic style, in-unit washer and dryer, and a shared roof deck. So far this model has attracted mainly Millennial renters who want to live in beautifully constructed spaces in trendy urban neighborhoods, but can’t yet afford to live on their own. Ditto has plans for two additional Oslo properties in the coming years.